From the Gold Coast, this is an easy drive through some rolling open countryside. By going south on the Pacific Motorway (M1) which is quick to access, running along the western edge of the Gold Coast, you quickly leave the dense view of concrete and enter some open, green vistas backed by an ancient volcanic rim. The trip is along dual highway for almost the entire journey. On the left soon after you go over the Queensland-NSW border, there is large service station for a quick toilet or food break. There are many sidetracks you could take but keep going south, turning left at the Pottsville Hastings Point turnoff and you will find Pottsville only a short distance away. You won't be disappointed. If you time your drive for the first or third Sunday of the month, you can have a wander through the Pottsville Markets. If dad and the kids get bored get them a drink and send them across the road to the playground while you browse in peace. The markets start early and wind down at lunch time. 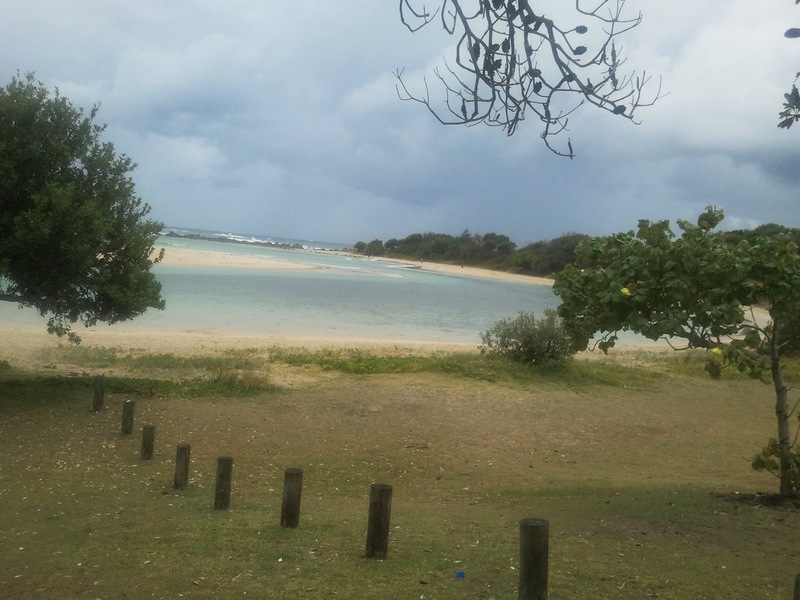 Take the 3 km drive down to Hastings Point where there is a terrific inlet for safe swimming, if you have youngsters, and a short stroll gets you to a surf beach for the older kids. This is a fantastic spot to spend a few hours. There is a barbecue, shelters and a toilet block. The general store is one of those that sells absolutely everything: takeaway, groceries, postal services, alcohol, magazines, bait. 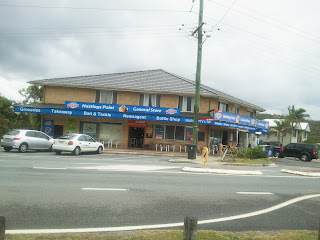 The reason for the extensive service is that the store is adjacent to a caravan park. If you do not feel like a swim, you can drive or take the short (about 200 m) stroll up to the headland where there is a wonderful view along the coast, north and south. There are always people fishing from the rocky headland, shores of the river or off the bridge. The quiet inlet for calm swimming. Barbecue area to left. 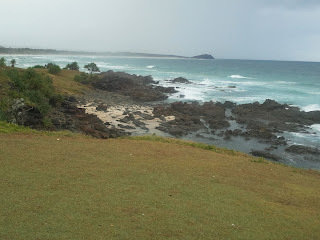 After a relaxing hour or two at Hastings, head north towards Kingscliff. This, too, is only a short distance away. Kingscliff is a larger town that runs along the beachfront with caravan park, hotel, coffee and food outlets. So you could stop here instead of, or as well as, Hastings. Just another relaxing spot on the way. From here it is a pleasant drive back to the Gold Coast. Kids, if with you, should be nice and warn out. If you are just with friend(s) you will have had a great day away.